The blog designed for boat lovers! | Everything that you need to know about boats, trends, new products and fishing. The blog designed for boat lovers! Everything that you need to know about boats, trends, new products and fishing. Filet tables and cutting boards are one of many fishing products which is a must in a boat. Cutting board like fishing tables vary its size and the material it is made of. 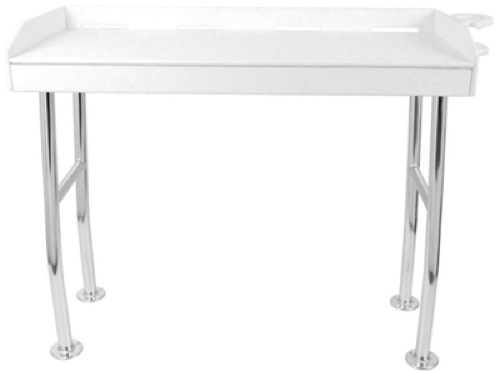 In some fishing forum like this http://www.thehulltruth.com/sportfishing-charters-forum/470504-fillet-table-print.html it was suggested that when getting a filet table, it is better to buy a ready-made than to build one since there will be no significant difference between the two. As a matter of fact, there are lots of filet table and cutting board that are ready-made you can choose that all suits your budget. But when buying these, we need to remember that it is better to look an aluminum made filet tables and cutting board rather than made of wood for wood usually stink and rotten in time. For a better option, below are some of cutting boards and filet tables we offer. The “Combo” includes an FDA approved, high-density, polyethylene table and Magma’s exclusive Levelock all angle fish rod holder mount. Features two fillet knife holders and a receptacle for your fishing pliers. A slot at the back permits water drainage, will not absorb fish odors, and will not crack or mildew. The 1-1/2″ stainless tube fits into most “cross pin” type rod holders. Folds flat for storage. Permanently mounts on the dock. Made from U.V. 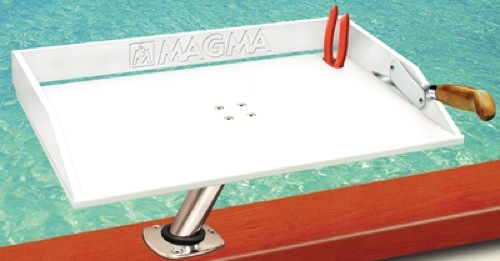 stabilized, high density polyethylene, the table includes six bolts to secure each leg to the dock. Also includes a water nozzle holder for convenient use and clean-up. Features a drink holder that mounts to the side of table. Holds up to 250 lbs. 3 Year warranty. TACO’s new Poly Filet Table is made from U.V. stabilized high density polyethylene. An adjustable nylon tilt mount locks at any angle. Conveniently fits into gunnel and folds flat for removal and storage. Includes an integrated knife and pliers holder. White. 1 Year warranty. So, what are you waiting for? Go grab this cutting board and fillet table for your convenience. Enjoy your fishing with these new fishing products. Do you know that clean and tidy boat is the same like cleaning your own home? Remember that your property speaks what kind of owner it has. You don’t want other to misjudge you by making your boat not presentable, right? So what you need to do is to look for a boat care products and a cleaning supplies for your boat to make it clean and free from dirt. Worry no more. 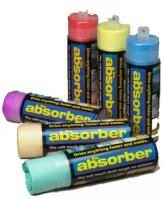 Because at www.proboatparts.com we can offer you a wide array of boat care products and cleaning supplies for your boat. These boat care products will surely help you to make your boat free not only from dirt but from rust that will soon damage your boat. Our cleaning supplies for boat will be the answer to your prayer, check below our boat care products. We all knew that brushes used for cleaning and perform a multitude of cleaning tasks. There are brushes for cleaning tiny cracks and crevices and brushes for cleaning enormous boat floors. The material of both the block and bristles or filaments is chosen to withstand hazards of its application, such as corrosive chemicals, heat or abrasion. This cleaning material will make your work easy and fast. Of course you will be needing cleaners, some polish and color care for your boat. Why? Because with these products cleaning, polishing, protection and maintenance of external surfaces of your boat is at its best. Try one of our boat wash or our color restorer to make your boat look like absolutely new. Try our Telescoping handle. This great boat product will handle quickly locks with all Shurhold accessories. Check our two mops available. The Deluxe “Water Sprite” Mops 658-117 and the Soft ‘N’ Thirsty Strip Mop 658-113. The later mop is only $32.28 while the Mops 658-117 is $66.46. Both mops are very efficient in absorbing liquids. We have 3 different towel we can offer. The first two towel are made up of microfiber which is very good in absorption while the other towel is 50% natural chamois. Get this special towel and do not use any other cloth that might cause scratches to your boat. We got two water blade that you can choose from. 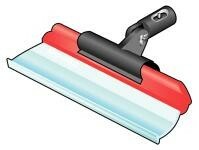 The first one is called Shur-Dry Flexible Water Blade 658-260 and cost only $27.44. The other water blade is Shur-Dry Flexible Water Blade Adapter 658-265. Now you can get this Shur-Dry Flexible Water Blade Adapter 658-265 for only $12.25. You can also ask us if you have any questions in any of our cleaning supplies. We have a live chat from Monday through Friday. Our store is open from 8am to 5pm central time. You can also reach us through email. Write us at sales@proboatparts.com or call 855.666.4220. Do you know that clean and tidy boat is the same like cleaning your own home? Remember that your property speaks what kind of owner it has. You don’t want other to misjudge you by making your boat not presentable, right? So what you need to do is to look for a boat care products and a cleaning supplies for your boat to make it clean and free from dirt. Worry no more. Because at www.proboatparts.com we can offer you a wide array of boat care products and cleaning supplies for your boat. These boat care products will surely help you to make your boat free not only from dirt but from rust that will soon damage your boat. Our cleaning supplies for boat will be the answer to your prayer, check below our boat care products. Brushes We all knew that brushes used for cleaning and perform a multitude of cleaning tasks. 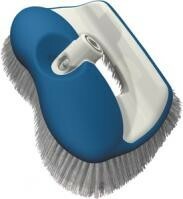 There are brushes for cleaning tiny cracks and crevices and brushes for cleaning enormous boat floors. The material of both the block and bristles or filaments is chosen to withstand hazards of its application, such as corrosive chemicals, heat or abrasion. This cleaning material will make your work easy and fast. Cleaners, Polish & Color Care Of course you will be needing cleaners, some polish and color care for your boat. Why? Because with these products cleaning, polishing, protection and maintenance of external surfaces of your boat is at its best. Try one of our boat wash or our color restorer to make your boat look like absolutely new. Handles Try our Telescoping handle. This great boat product will handle quickly locks with all Shurhold accessories. Mops Check our two mops available. The Deluxe "Water Sprite" Mops 658-117 and the Soft 'N' Thirsty Strip Mop 658-113. The later mop is only $32.28 while the Mops 658-117 is $66.46. Both mops are very efficient in absorbing liquids. Towels We have 3 different towel we can offer. The first two towel are made up of microfiber which is very good in absorption while the other towel is 50% natural chamois. Get this special towel and do not use any other cloth that might cause scratches to your boat. Water Blades We got two water blade that you can choose from. The first one is called Shur-Dry Flexible Water Blade 658-260 and cost only $27.44. The other water blade is Shur-Dry Flexible Water Blade Adapter 658-265. Now you can get this Shur-Dry Flexible Water Blade Adapter 658-265 for only $12.25. You can also ask us if you have any questions in any of our cleaning supplies. We have a live chat from Monday through Friday. Our store is open from 8am to 5pm central time. You can also reach us through email. Write us at sales@proboatparts.com or call 855.666.4220. Have fun boating! What is The Essence of Hydraulic Fluids for Boats?